^ 4.0 4.1 Homosexuality and the Law - Fragments of Icelandic History 互聯網檔案館的存檔，存檔日期2011-07-21. 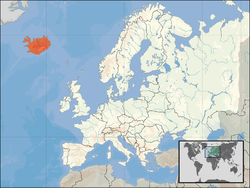 ^ Iceland : Recognized partnership law, 1996. France.qrd.org. 1996-07-01 [2010-08-14]. （原始內容存檔於2016-01-12）. ^ Partnership Law In Iceland. France.qrd.org. [2010-08-14]. （原始內容存檔於2016-01-12）. ^ Important Improvements in Gay and Lesbian Rights in Iceland. Ilga-europe.org. 2006-06-12 [2010-08-14]. （原始內容存檔於2012-02-27）.